‘Gangnam Style,” the catchy South Korean music hit that became an international sensation last year, doesn’t seem like it would go well with models walking a runway. But Smile DJ got away with it most of the way through the last day of Palestine Fashion Week, as he transitioned between fashion lines from Ramallah and Jordan. It was 10 p.m. and the crowd was restless after three hours of watching models and dancers traverse the stage. 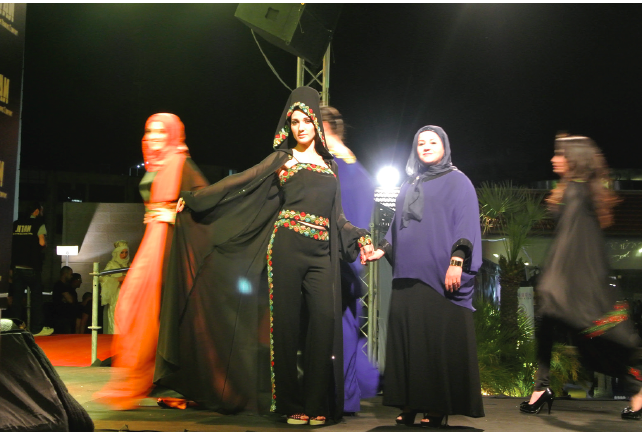 For the second year in a row Palestine Fashion Week has opened eyes and attracted a range of designers and models, primarily from the Ramallah area, to a festive gathering at the Movenpick Hotel. The primary driver behind the event, Modelicious modeling school manager Tamer Halabi, was resplendent in a pink shirt and a closely cropped beard. From backstage he attempted to manage a dozen models and a scattering of children, who were also taking part in the show. 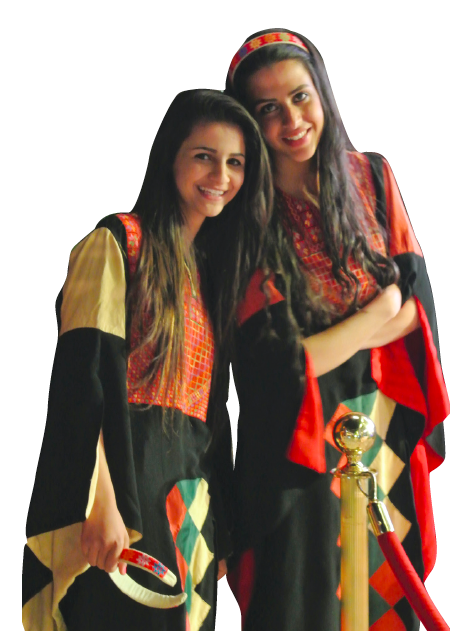 His mother, wearing a traditional Palestinian embroidered dress, was also on hand: She plays a key role in his other business, Spaloon, a salon that did the hair for the participants. The audience members enjoyed their time. Majd, from Beit Hanina in north Jerusalem, felt it came off well. “I was really happy to be here and proud to see the effort they put into this. Several of my friends modeled and they did a good job. 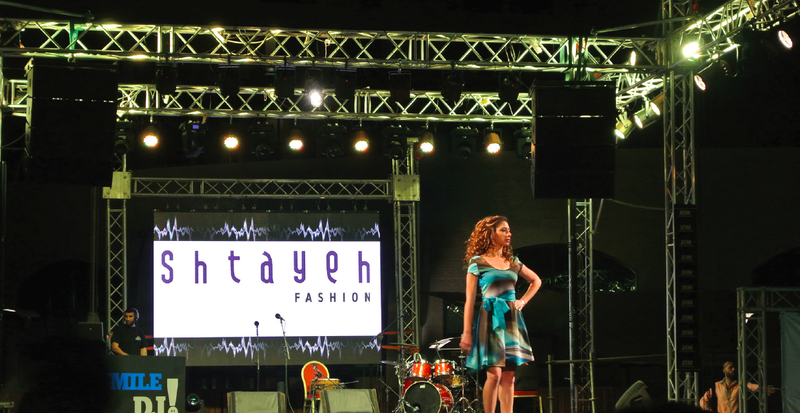 It could have been more professional, but in general it was a great event.” But while most expressed pride in the idea of putting Palestinian designers on the map and having a successful show, glittering with a catwalk perched atop a pool and a fantastic s sound-and-light show, no one felt the designs were revolutionary. However, in a place where many things are run by aid organizations (a half-dozen diplomatic cars from the Red Cross and UN were parked across the street from the hotel), this was a very Palestinian show. There were no EU representatives to be t thanked for funding it, and the audience consisted almost entirely of local Palestinians from Ramallah, Bethlehem and east Jerusalem.